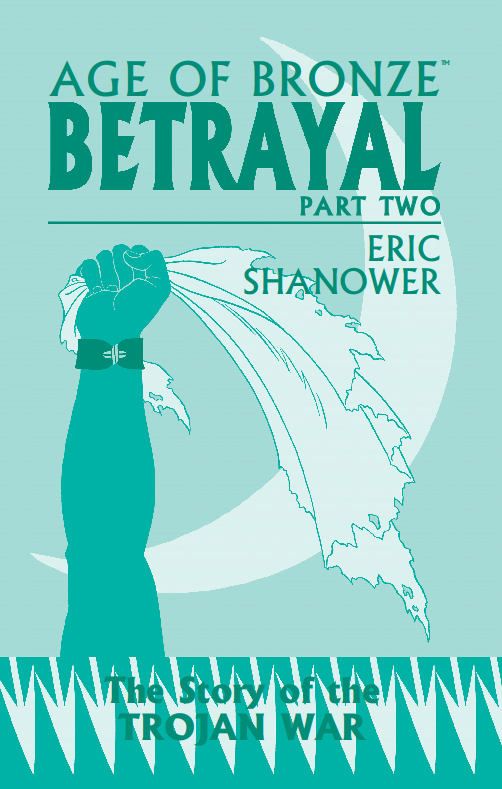 Age of Bronze: Betrayal, Part Two, by Eric Shanower – It seems like forever since the last volume of this series was released, but Eric has been doing other things. This chapter of the retelling of the Trojan War focuses heavily on Troilus and Cressida, a Trojan prince and the daughter of an unpopular seer from Argos, respectively. Shakespeare wrote a play about the characters, focusing on Cressida’s unfaithfulness to her lover, but I haven’t read it. Cressida’s father Kalchas, who defected from Troy to the Achaeans but isn’t trusted by them either, is also a significant player; and the prophetic but never believed Cassandra makes a few appearances. As usual, the art is excellent, very detailed and full of attractive people and violent battle scenes. Eric generally does a good job at differentiating the characters, who can admittedly be somewhat difficult to keep track of at times. It’s a fascinating look at an old story. This entry was posted in Book Reviews, Bronze Age, Comics, Eric Shanower, Greek Mythology, History, Mythology and tagged age of bronze, betrayal part two, cassandra, cressida, kalchas, troilus, trojan war, troy. Bookmark the permalink.